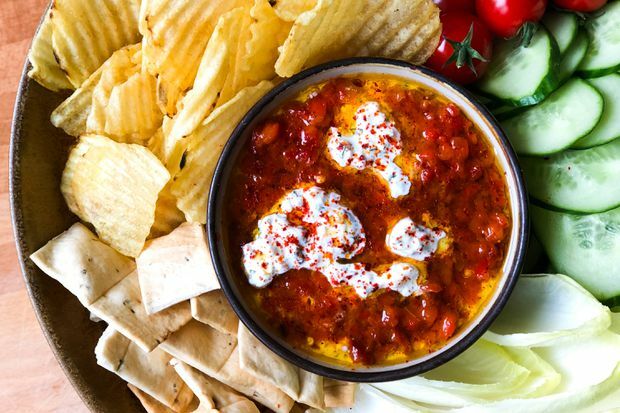 This unfussy dip relies on peppers that have been roasted and marinated in red wine vinegar and chili flakes. 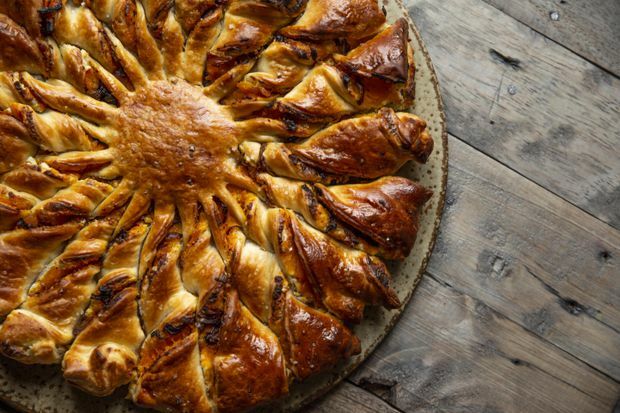 With store-bought puff pastry this tarte soleil is a simple and fun edible centerpiece, stuffed with roasted butternut squash and onions and creamy cheese. 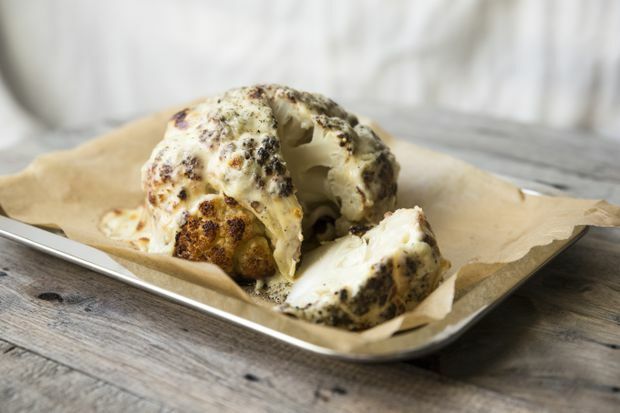 A simple whole cauliflower is doused in olive oil and roasted to perfection before being smothered in cheese sauce. 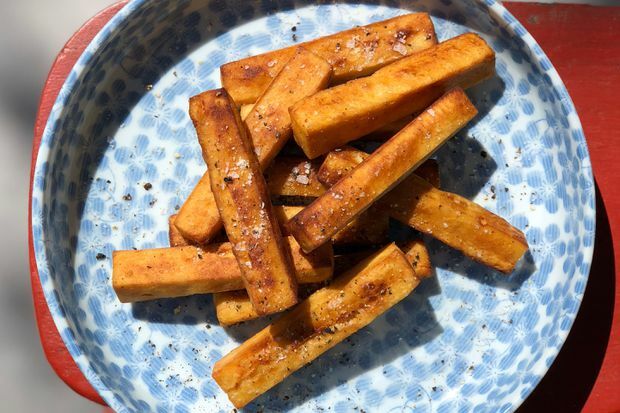 Panisse, often associated with the south of France, is essentially a paste made from water and chickpea flour that is cooked, chilled then fried for a crispy exterior and delightfully soft and creamy interior. 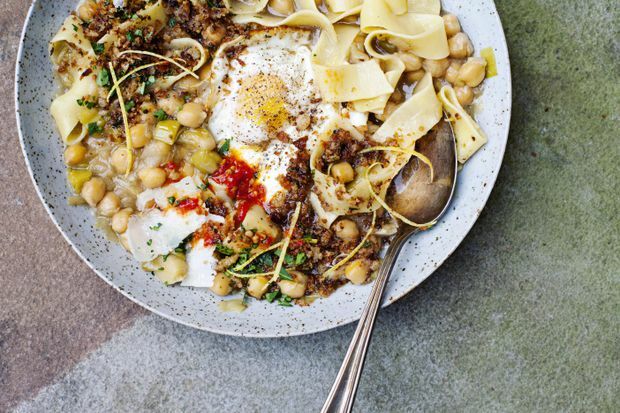 Pasta and chickpeas are draped in thickened stock, then topped with fried egg, chilies and pangrattato – toasted breadcrumbs – for contrast. 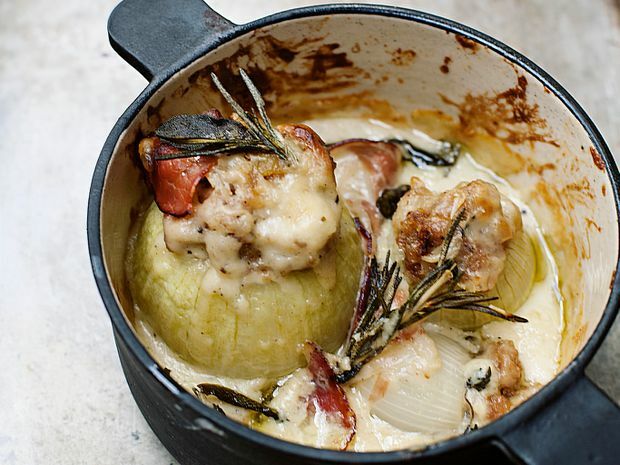 Braised onions are cored and stuffed with a pork filling, then covered with béchamel sauce and baked until they’re spoonably tender. 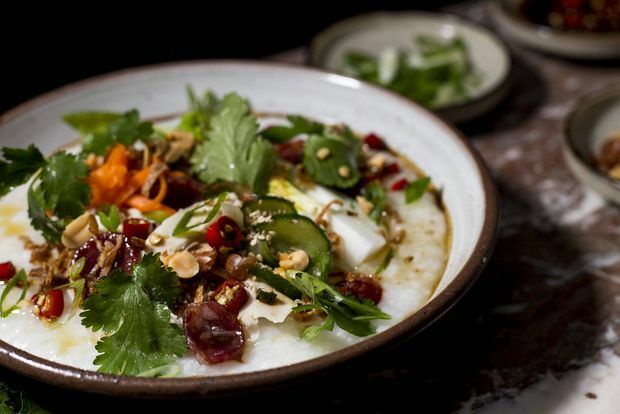 This recipe for jook, or congee as it is also known, pairs a well-seasoned ginger and chicken-broth-infused rice porridge with all kinds of toppings, making it flexible and adaptable to any meal of the day. 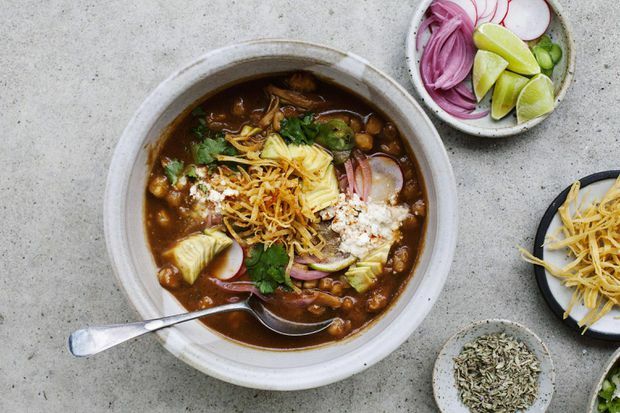 This soupish stew makes use of the pantry with tinned hominy, dried chilis and spices, and goes from stove to table in less than an hour. 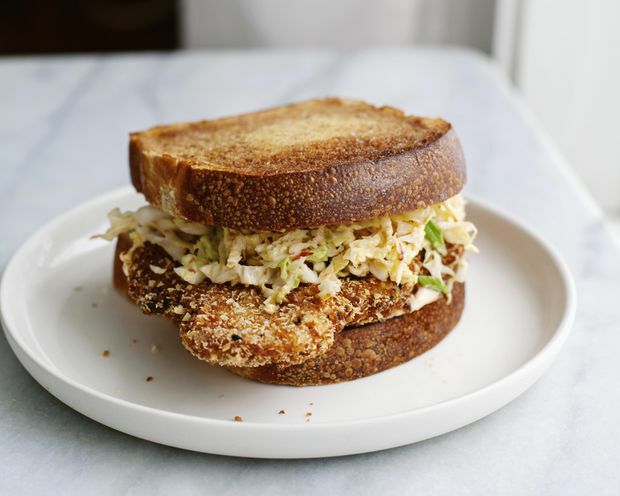 Katsu sandwiches are a staple of Japanese convenience stores: pork or chicken cutlets cradled by fluffy slices of milk bread and spread with a twangy brown sauce. 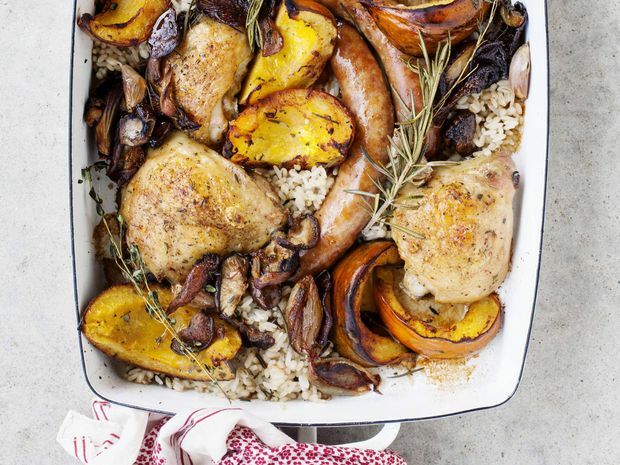 This one-pan wonder pairs bronzed chicken, sausage and mushrooms with the sweetness of squash, alongside rice and barley to soak up the sticky pan juices. 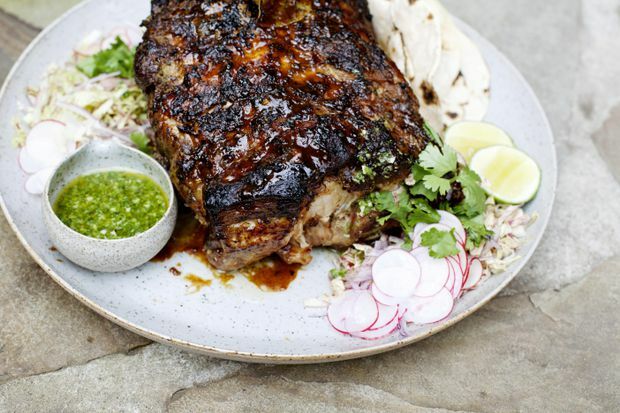 This pork roast requires the investment of time rather than hands-on effort, beginning with a marinade of citrus, blistered chilies and herbs, then cooked low and slow. 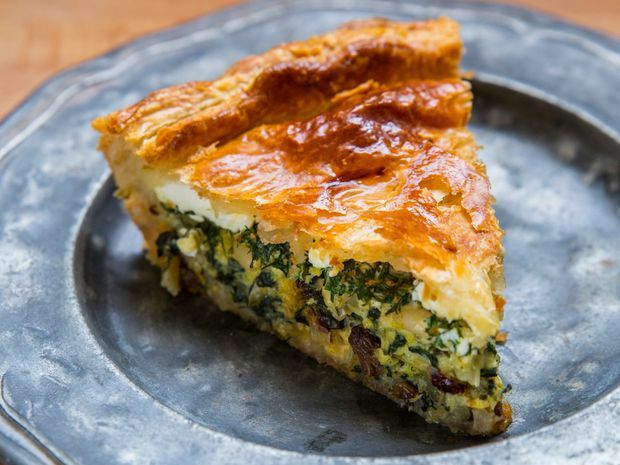 Chard stems and leaves are cooked with leeks and other aromatics to form the base of this easy tart made with store-bought puff pastry. Poached eggs draped in sauce gribiche, a French production based on hard-boiled eggs, are layered over a puffed pancake along with tender asparagus. 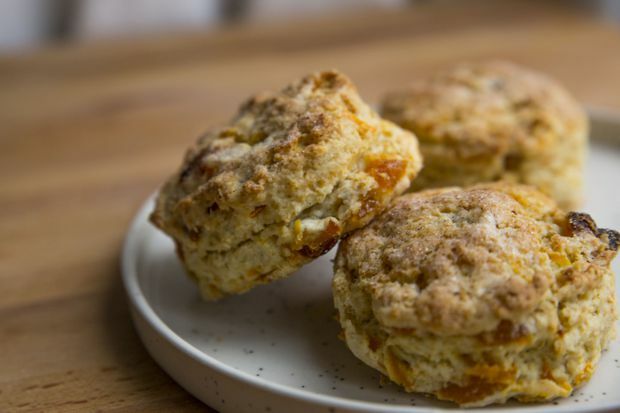 These easy-to-make and incredibly customizable scones can be eaten on their own or served with clotted cream, jam or marmalade, butter or a slice of sharp cheddar. 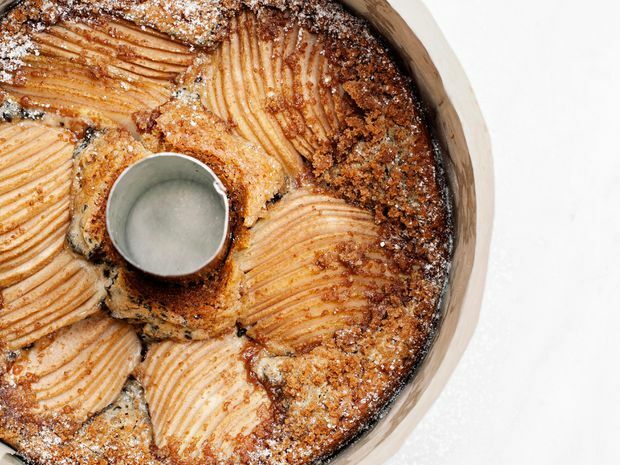 This pear and sesame cake features buttery tahini swirled into the batter and a topping of sliced pears and streusel. 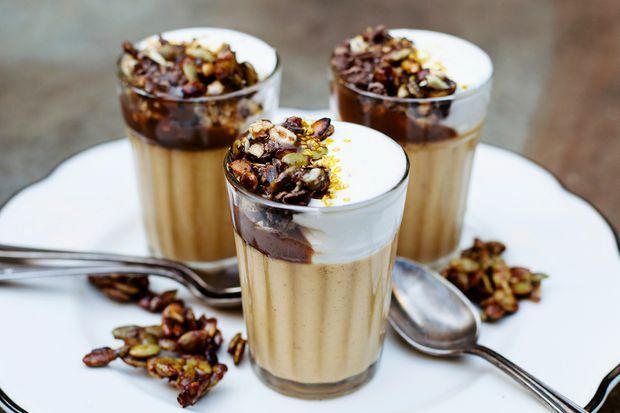 A pumpkin custard made with roasted purée and spices is paired with coffee caramel and all manner of garnishes. 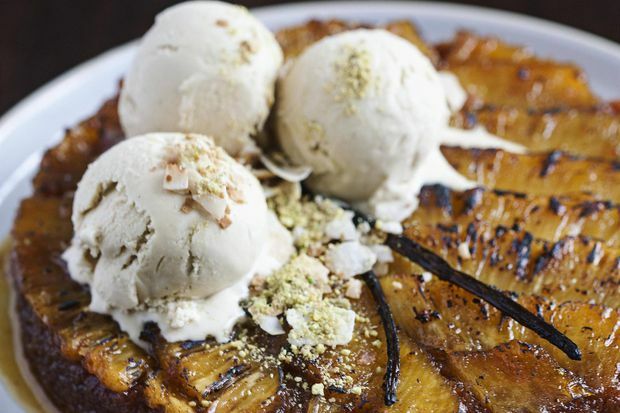 Made with a combination of almond flour and shredded coconut (and no wheat flour), this pineapple upside-down cake is is more akin to steamed pudding than cake after bathing in pineapple caramel.